My lingerie is an accessory! Petite Silvia de Lucia, has a love affair with lingerie. On a daily basis in the design Studio of Paola Maltese she researches and designs lingerie in every phase of development, from lace, embroidery and print to end-product and she knows the limits of commercial collections. Italian Paola Maltese, Concepts Paris’ Bologna based designer is an all-round lingerie veteran. Clients of her studio range from La Perla, lace manufacturers to mass market brands and retailers. Her lingerie archives are legendary. Shopping for small sizes is complicated! Celia Kong, loves everything feminine and pretty. But the industry does not make it easy for her to shop. And although big size girls shout loudest of being discriminated by the lingerie industry, the offer for petite women like Celia is even more reduced. The second view into the favourites from the Concepts Team comes from Basma Masri. Even more then the others in the Concepts Team, Basma is born with a lingerie gene. Her Lebanese great grandmother was a lingerie designer from whom she still has some pieces. OUR FAVOURITE BRAS is the name for our new Summer Series. 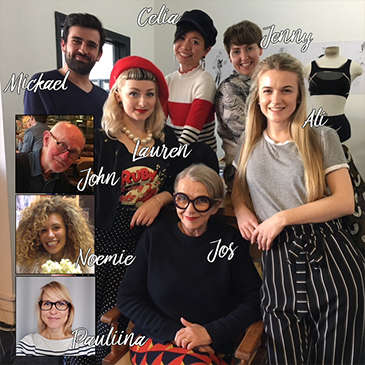 Members of the Concepts Paris team give you in the next weeks an insiders look into their personal bra choices. Sure, all of them are lingerie groupies, but when it comes to personal choice their top 5 bras are chosen according to the same criteria as the majority of women: comfort combined with attractiveness.